Why use Rose water? Rose water is extensively used in India for beauty and as food flavor. A lot of people use rose water just as toner/astringent as it is alcohol-free, some use them just as refreshing face mist and some use them as mixing agent in face mask. It basically is a one beauty solution for all because it suits all skin types. Have you ever found anyone who complained that rosewater caused pimples or any other skin issues? I am quite confident that the answer is no. 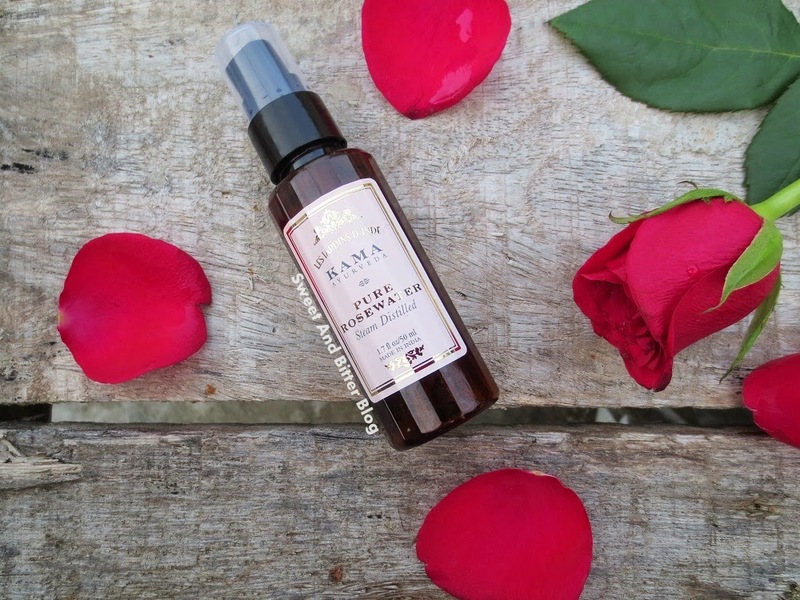 Why should one use pure rose water? Thanks to technology and better knowledge of manufacturing methods, companies are now trying to achieve better quality and more hygiene while producing. 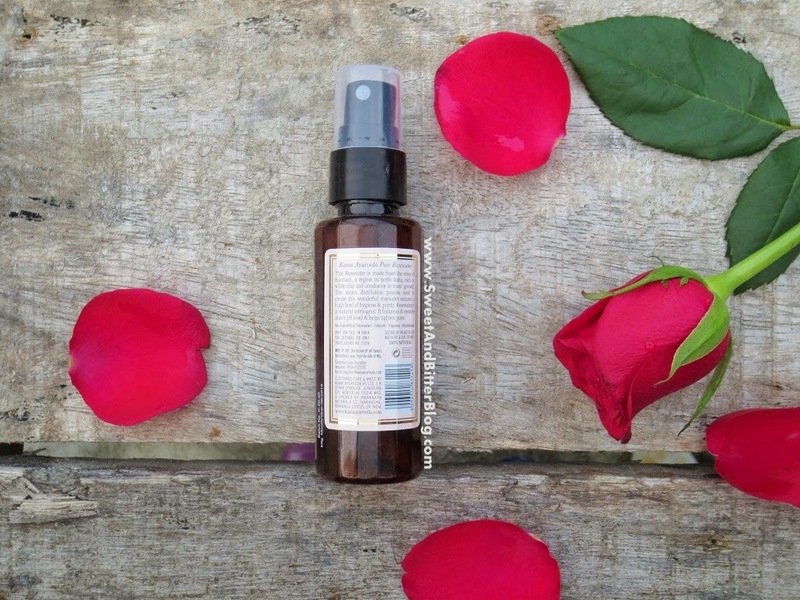 This makes sure that you are getting 100% benefit from your rose water. 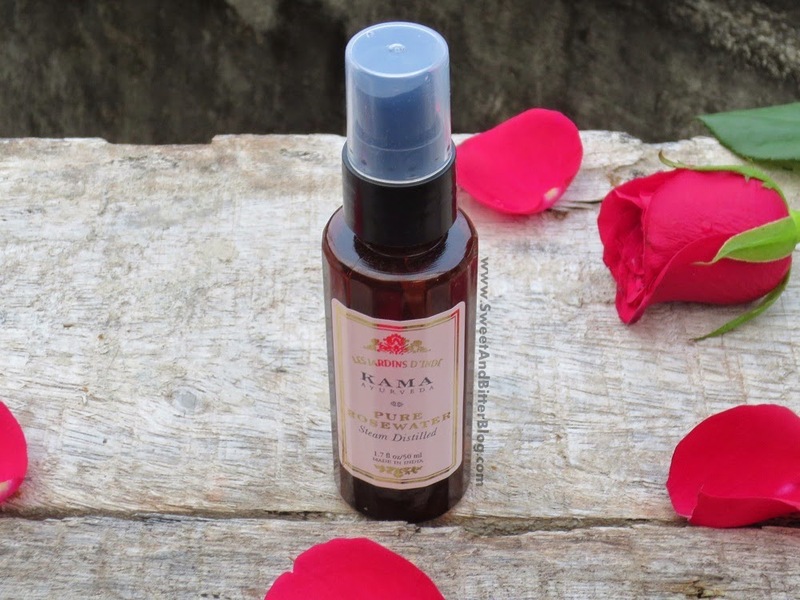 Special Roses - Kama Ayurveda is not only using better and hygienic method, they are also using special roses from Kannauj. Kannauj is a region in North India, rich in white soil conducive to roses' growth. The roses grown in Kannauj are considered special and have the same specifications as the Bulgarian rose. Other Options – Forest Essentials also sells steam distilled water but they are priced higher at Rs 575 for 100ml and Rs 1025 for 200 ml. The rose water sold by Dabur Gulabari (Rs 37 for 120ml) is rose oil in water with loads of extra chemicals, parabens, and alcohol. In fact, it contains more fragrance than rose oil! There is an expensive version with a spray bottle which sadly has even more chemicals. Patanjali Divya Gulab Jal (25 Rupees for 120 ml) is free of chemicals but the ingredients list is not very complete. Also, I found tiny rose petals in the rose water which made me question the method used to filter the same. 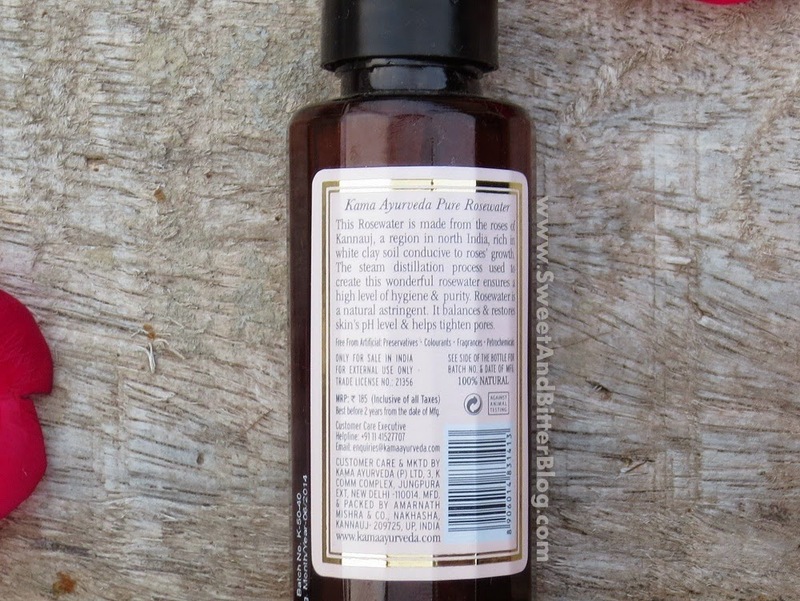 There are many other brands selling rose water (because it is a very common thing and used by almost every Indian girl) but either they have chemicals or have incomplete ingredients list or have immense availability issues. Overall - Well, it for you to decide - chemical laden water with drops of rose oil or pure steam distilled rose water made with Kannuj roses with specifications similar to Bulgarian rose? Another option is to make your own. There are several videos on YouTube but firs,t you need good quality roses in your garden. The ones sold at markets (for example - the one I used in the pictures above) are cultivated for just show with the huge of loads of inorganic chemicals and can do no good for your skin.